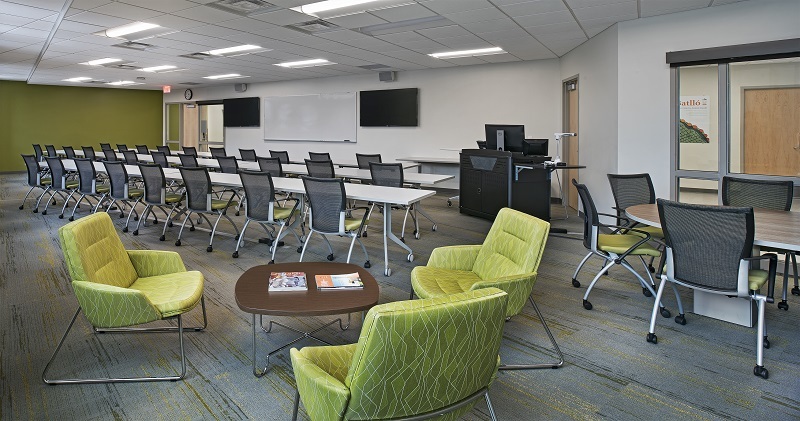 The first floor of the renovated Swan Building at Ferris State University (FSU) houses the Mechanical Engineering Technology and School of Built Environment programs. Completed in phase, the corridor and northern classroom spaces were ready for occupancy to allow for classes to be held at the start of the autumn 2017 semester. Classes being held in at the start of the autumn 2017 semester were moved to the second floor of the Swan Annex until phase II renovations were completed. The schedule for the project was compressed, as such, a fast-track design-build GMP-at-Risk delivery method was used.